A lovely friendship quotation is here for you to share with your dear friends. Friendship is a divine bond between people. This intimacy and love between people is made possible by the uniting factor called the friendship, which is defined as the golden thread bind people. 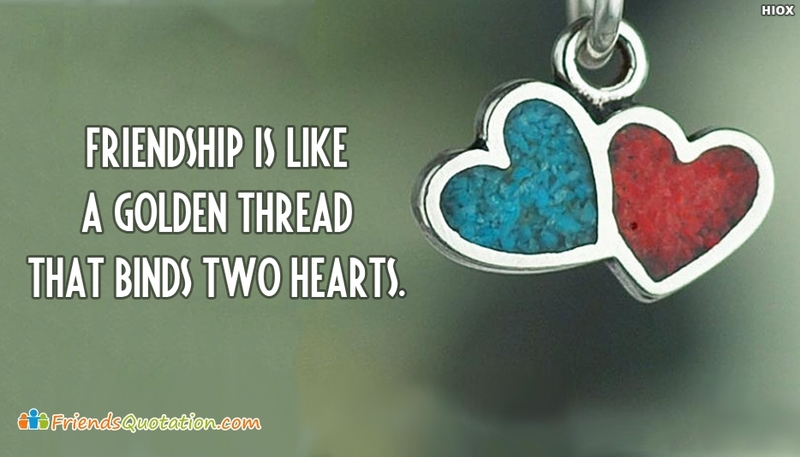 This friendship message is given as "Friendship is Like A Golden Thread That Binds Two Hearts".